In India when we like a movie we say that the movie is total ‘paisa vasool’ which means it was totally ‘worth the money’. That’s exactly what I felt after watching Descendants of the Sun. This show is total paisa or shall I say ‘time’ vasool. The show is a perfect blend of action, romance, suspense, humor, and grief. This was one show where I not only liked the protagonist’s love story but also enjoyed parallel storylines of the all the supporting characters. 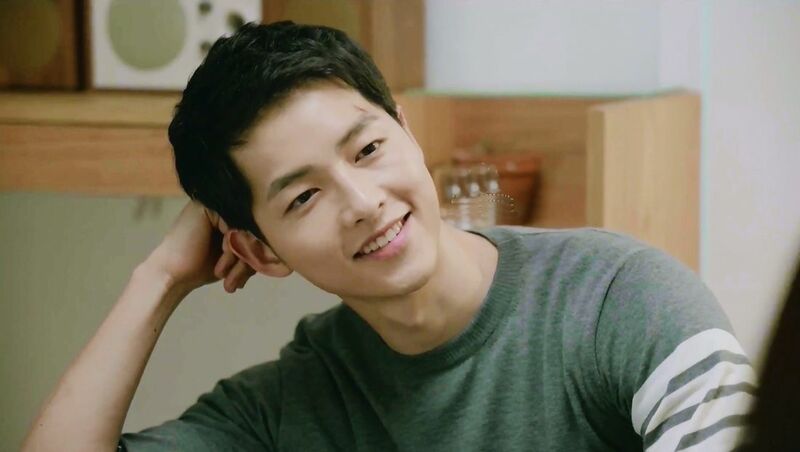 Descendants of the Sun is a 16 episode long Korean drama. The show is about Dr. Kang Mo Yeon and Captain Yoon Si Jin who meet in a hospital where Dr. Mo Yeon is treating a young boy who is actually a thief and is hunted down by Si Jin and his comrade Seo Dae Young. Si Jin and Mo Yeon are attracted to each other almost instantly. They decide to date each other but due to their work commitments they are unable to meet often which is why they decide to break-up. However, circumstances bring them together and Mo Yeon is sent by her hospital for voluntary work to Urk where Si Jin and his team are deployed for an assignment. As fate brings them together they rekindle their romance in Urk and overcome some troublesome situations together. Let’s weigh Descendants of the Sun on our show beam balance and see what makes the show worth watching. Good-Looking Cast – What? Did I promise not to mention this point as a good weight? Gah!! Remarkable Plot – I still can’t believe Korean TV channels were skeptical of taking up this show only because it dealt with a controversial topic (by which I mean the military). I was hooked on from the first episode itself. And the episode cliffhangers made me so impatient I would often find myself binge-watching the show. This medical-military drama was so hatke (unique and different) that I am totally impressed by the writers who wrote it. The love story between people belonging to two completely different fields of work seems so unlikely but the story has been woven so beautifully that the scenarios and their growing fondness for each other seem plausible and convincing. Well Defined Characters – Every character is well written and the actors have done full justice to their roles. Each character contributes in its own way to the development of the story. Another point I want to add here is that this is the first Korean drama (for me) where the central female character doesn’t have multiple suitors vying for her attention. And the guy is not a total jerk ill-treating his girl. Mo Yeon is intelligent, responsible, and ambitious. Si Jin is chivalrous (a rare quality in most K-Heroes), handsome (couldn’t help adding it here), committed, and brave. The characters in the show seem real and relatable. Chemistry – Be it lead couple Yoo Si Jin and Dr. Kang Mo Yeon’s chemistry or supporting cast Ha Ja-ae and Sang-Hyun’s all the couples on the show are simply cute and interesting. I especially enjoyed watching Seo Dae Yeong and Yoon Myung Ju fight it out for their love like true soldiers. Acting – I loved Song Hye Kyo (Dr. Kang Mo Yeon) in Full House and after this show, I have officially added my name to her never-ending fan list. She was phenomenal. Her look in the show was plain and natural but she still looked breathtakingly gorgeous. Her acting is so effortless that you almost believe that she is a doctor in real life. Her comic timing is also perfect. Somehow I do not like her in romantic scenes as I fail to see any love in her eyes (I know that sounds strange). She always has this tight-lipped smile, even during romantic scenes, which looks a little fake. Other than that I do not see anything lacking in her acting. Song Joong Ki (Yoon Si Jin), Dude! Where have you been all this while? This is the first show I saw of his and mahn! What a performance. He looks perfect as the charismatic and valiant captain. He is swift in the action scenes, soft in the romantic scenes and serious in the comic scenes. The stupendous rise in popularity of this actor, following this show is totally justified. And not just the central characters but the supporting cast has also acted superbly well. There was not a single dull or boring moment in the entire show for me. And that I guess says a lot about the supporting cast and the sub-plots. Absurd Situations – Si Jin is a soldier with, what appears like, superhuman qualities. ((Spoiler Alert)) There is a scene where he is shot by terrorists with an AK-47, he arrives at the hospital as a critical patient, suffers a cardiac arrest, receives shock treatment and boom! within a few hours, he is back on his feet ready to take on the antagonist. Yeah right! But this is a K-drama yaha sab chalta hain (anything is accepted). Now, that’s a landslide verdict. The show also excels in cinematography and direction. The show has been shot in South Korea and Greece which makes it a visual delight. I give the show 4.5 out of 5 rating. 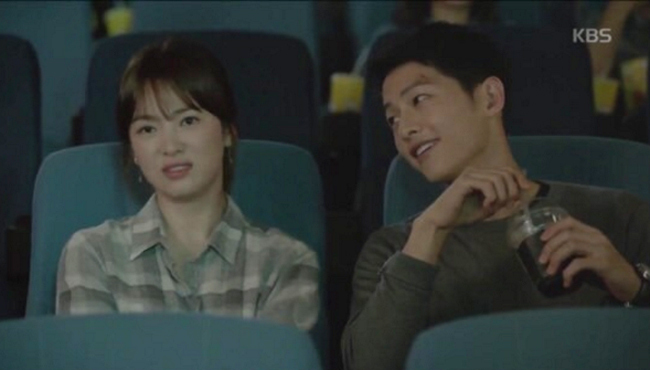 Descendants of the Sun is one of the most successful shows of 2016 with record-breaking viewership ratings and it has definitely earned every praise that is being showered upon it. This show is a MUST MUST watch.